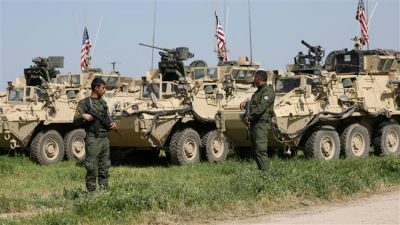 US President Donald Trump has authorized the arming of Kurdish forces in Syria despite fierce opposition from Turkey. The Pentagon made the announcement on Tuesday, stressing that arming the Syrian Democratic Forces (SDF) is to “ensure a clear victory” in operations aimed at the liberation of Raqqah from the Daesh terrorist group. The US currently provides air support for members of the SDF — a Kurdish-dominated and anti-Damascus alliance. They have largely surrounded Raqqah and are expected to begin an offensive soon. The SDF is led by the Kurdish People’s Protection Units (YPG) which Ankara views as a terrorist organization over its alleged links to the outlawed Kurdistan Workers’ Party (PKK). “We are keenly aware of the security concerns of our coalition partner Turkey,” said Pentagon spokeswoman Dana White. “We want to reassure the people and government of Turkey that the US is committed to preventing additional security risks and protecting our NATO ally,” she added. “We are going to sort it out and figure out how we are going to do it, but we are all committed to it,” he added. Syrian Democratic Forces (SDF) female forces carry water supplies on the bank of the Euphrates river, west of Raqqah city, Syria April 10, 2017. Meanwhile, reports coming out of Syria suggest that a joint military force of US, British, and Jordanian troops, equipped with tanks and helicopters, have been deployed in the war-torn country’s southern border areas.